Los Angeles quintet Grouplove are back with their first single from their forthcoming album Spreading Rumours, an electronic jam called “Ways To Go”. I recently profiled their new stuff in a post two weeks ago. The single is on iTunes tomorrow, while the album is out on September 17. While the song is fairly different from the rock sound on their last album, it still grooves despite some weak verses. It’s all about that chorus, post-chorus, and the drop about 2/3 into the song. If you’ve been into the 80’s influence that’s been sweeping across Alternative music in general on and off the charts, then you’ll love this song. If you don’t, then I would wait for the rest of the album to come out. Enjoy! 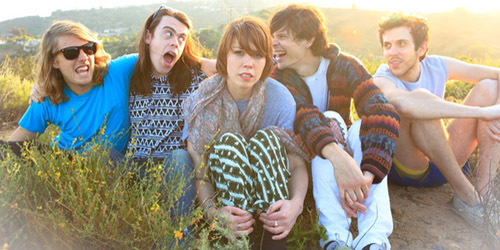 Watch the the premiere of “Ways To Go” from Grouplove. Thanks Parker! I’ve edited it in. Man, I knew that line was going to cause a lot of confusion. Thanks for the update, Rob.